This week has been a really slow one. It's midterm time at school, so I've been spending my time studying. I started the week by watching a gamedev talk by Vlambeer's Rami Ismail called 'Sincere Game Design'. It took quite a while before the point of the talk became apparent to me, but it's a really important one. Many good games have a consistent story behind them. This is different from the narrative of the game. It's about the story of the world that the game takes place in. Rami spoke about how developing the story of your world and discussing everything in detail helps the rest of the details fall into place, "why are things the way they are? ", "why is this here?" Those types of question become more easily answered when you develop the lore and some players will notice the detail and thought that went into it. This inspired me to start to write about my game's world. There was a big question I wanted to answer, "Why do the dungeon's exists?" developing the world and answering this question could help me start to piece together everything. I spent a few days working on the fiction and I think the results are pretty alright, I have a lot of questions answered and I understand more about what I'm trying to build. The other main thing I did was work on the map representation in code. 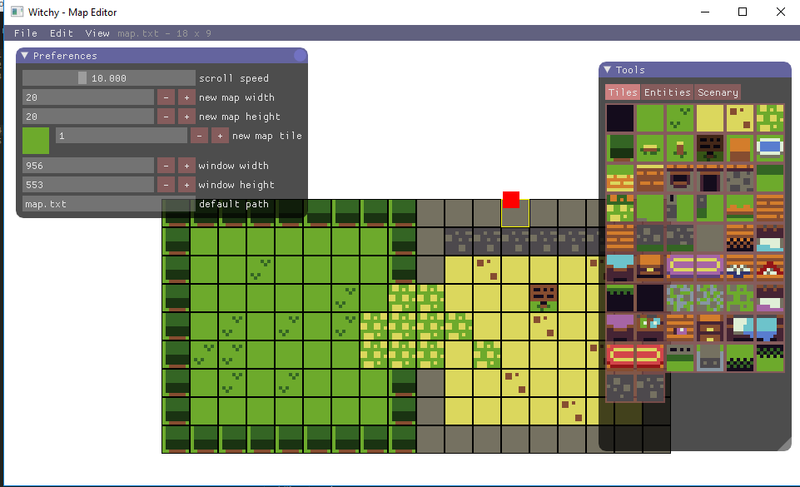 I completely rewrote the map handleing so that it wasn't so much of a hassle to add new things to. 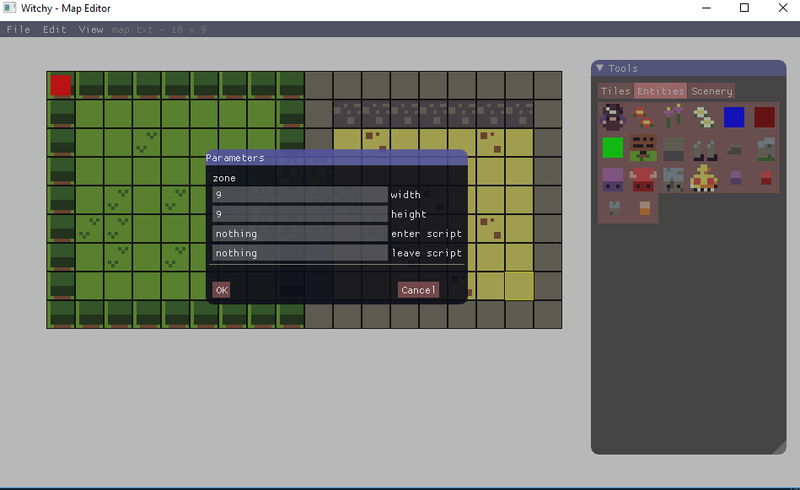 I also spent a few days rewriting the map editor to use and actual gui library so that I could easily add new tools and work with it.